I woke up to these three beauties below, and I decided today was the day to bake some banana bread. I have made lots of banana bread in my life, and while it was always good enough, it was never really gooooood, as in blog-worthy good. Often times the middle would be mushy, and the extra cooking time required to demushify the middle would make the edges too dry and overcooked. I decided to turn to my beloved Cook’s Illustrated for help, and Google led me to yet another fabulous food blog, First Look, Then Cook, which reviewed the Cook’s Illustrated recipe and determined it was not as good as her Mom’s, which is posted here. Cook’s Illustrated or Mom, who to choose? Mom, of course! No contest there. 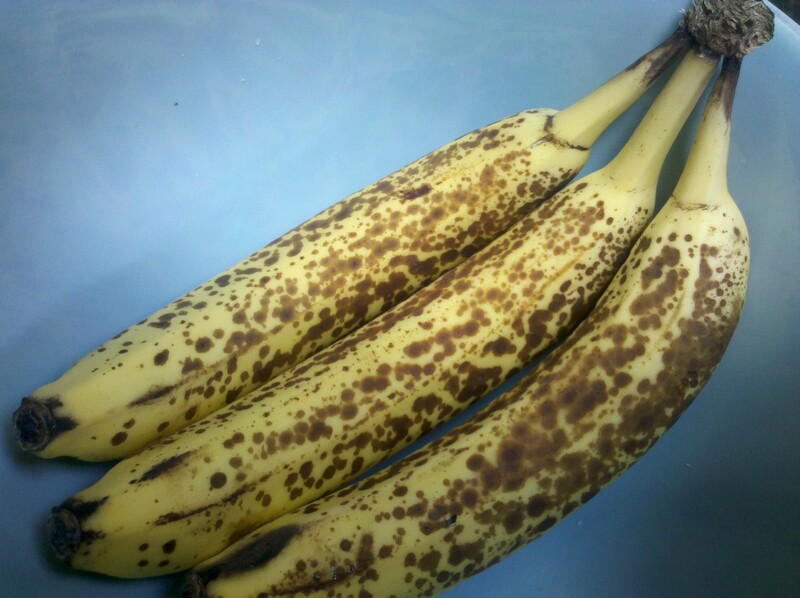 This is my new favorite banana bread recipe: quick, easy, great flavor, great texture. I added chocolate chips and omitted nuts. My whole family loved it, and I’m sure you will, too. 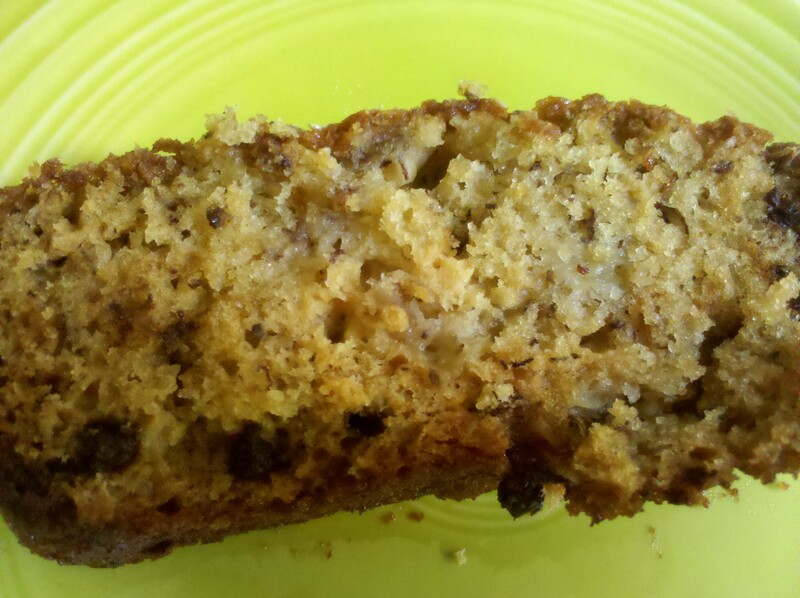 This entry was posted in Desserts and tagged banana bread, chocolate chip by Mom Mom's Apron. Bookmark the permalink. Man, first I had to have a smoothie because you got a new Vitamix and now I had two on the edge bananas so I had to make banana bread. I had to make mine gf but I am about ready to slice into it and see how I did. I don’t think you can go wrong with banana bread. Let me know how it turned out. There’s no such thing as bad banana bread!